Purchase Dengeki PlayStation Vol. 618 to receive the item code for an FFXIV x PSO2 Poster. Also included in the issue is a special round-table symposium between the producers and director of PSO2 and FFXIV. Watch it LIVE on Nico Nico. Grand Grand Grand unveiling of PSO2’s newest song [Youkoso ARKS]. Youkoso ARKS composer, Beat Mario, will appear as a guest and reveal the inside scoop on the creation of the song. Follow-up report on next month’s ARKS Festival 2016! 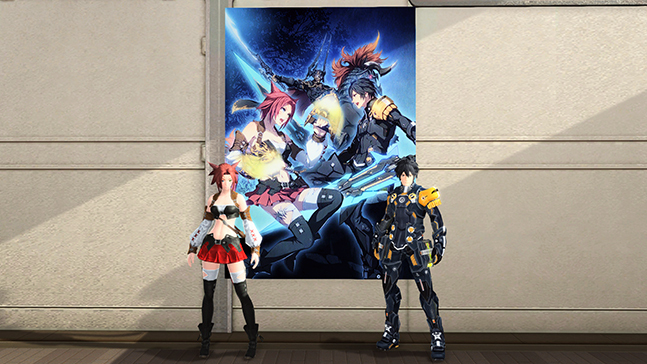 News on the latest PSO2es updates. Development Team Q&A Session with questions sent in from Twitter. Secure OTP Service will be ending on September 28th at 11:00 JST. Users who only have this authentication method registered to their accounts will have their Secure OTP setting automatically cancelled. In addition, users with Secure OTP set as their preferred authentication method will also have their Secure OTP setting automatically cancelled. After its cancellation, you will not be able to put items into your OTP storage. In addition, you will be forced to use the Item Trading Password prior to purchasing items in player shops. In order to continue using these features, Sega recommends switching over to the Google Authenticator method. If you are not planning on using Google Authenticator, we highly recommend taking the time now to remove Secure OTP from your account. Do not delete your Secure OTP app until after you manually remove the Secure OTP service from your account. In addition, those who removed their Item Trading Password during their Secure OTP service, should take the time now to add the Item Trading Password back to their account. You can ignore the previous statement if you’re making the switch to Google Authenticator. Will there be any consequence if i leave OTP and let it expire rather than me canceling it? Items in otp will be lost, the service will auto cancel itself in sept. So you wont be locked out. So that means that I wouldn’t have to worry about myself being locked out from the game because of the cancelling of SecureOTP, but as a side effect, my otp items will be lost? you keep the items but lose access to use the otp storage in terms of depositing items. You can still withdraw items that are in that storage. Uh, no. That’s not how it works, anymore than prem time running out wipes the prem storage. No he’s saying they wouldn’t wipe the storage just like how they wouldn’t wipe premium storage. So, do we just add the google authenticator OTP and THEN remove the old SecureOTP method or is there anyway to directly transfer from one service to another? Soo…is OTP storage getting replaced by Google Authenticator storage? what. OTP is OTP, regardless of the service provider. Why would they change the name in-game? How do you make the change? …you cancel the SecureOTP service and register for the Authenticator? .-.